In 2015, the average U.S. business lost $6.5 million due to data breaches. This infographic shows how U.S. business executives and IT professionals across industries fortify their organizations against cybercrime and why. 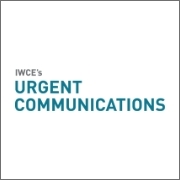 Poll results: What’s the biggest barrier to PSAPs making the transition to next-generation 911? Last year, we asked you to identify the biggest barrier to public-safety answering points making the transition to next-generation 911. 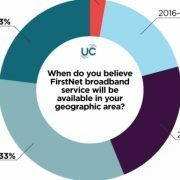 Poll results: When do you believe FirstNet broadband service will be available in your geographic area? In our August poll, we asked you when you think FirstNet broadband service will be available in your geographic area. Here are the results. Poll results: Should part of law exempting FirstNet from disclosure obligations be changed? In our July poll, we asked you if the part of the law exempting FirstNet from disclosure obligations should be changed. Here are the results. Poll results: How would you assess the FirstNet term of Sam Ginn? 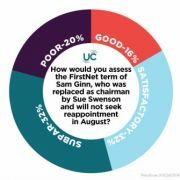 In our June poll, we asked you to assess the term of Sam Ginn, who is stepping down from his role as FirstNet chairman. Here are the results.